It's hump day, you know what else looks like a hump? A bell. Stay with me. It's bell sleeve hump day. See what I did there? No? Ok, great. Bell sleeves for everyone. Let's look. Simple but very Michelle Obama. 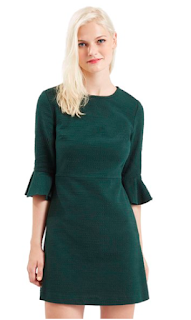 Perfect for work or dress it up with jewels for a holiday party. 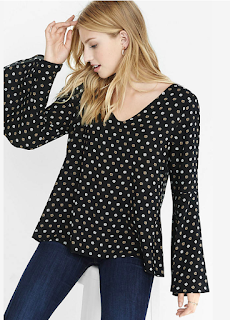 The 70s are back this fall and this blouse is perfectly on trend. 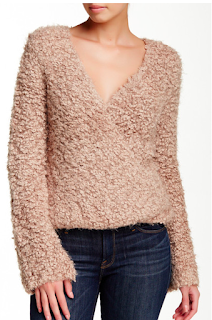 Amazing texture aside, I love the faux wrap silhouette of this sweater. Hello fall sweater dress. 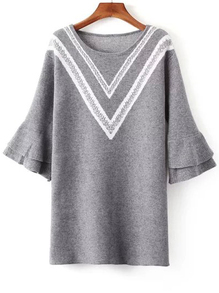 Pair with tights, leggings, boots, anything. A simple bell sleeve really changes the style of an outfit. It's breezy, it's 70s, it's quite gorgeous.